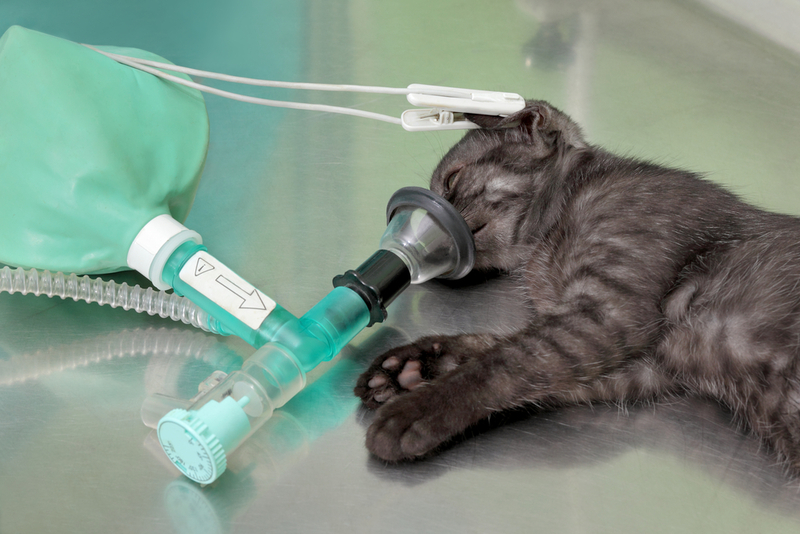 Anesthesia can be a scary concept for pet owners. Not only must you come to terms with the condition that is prompting the need for anesthesia, but you must also grapple with the possible side effects that could arise from its use. Some pet owners might even delay treatment for their pet as a result of their fears. At SRVC, our staff is comprised of highly-experienced professionals who are skilled at procedures such as diagnostics, surgery and more. While in our care, your pet receives advanced anesthesia services that are comprehensive and safe. Here at SRVC, the decision to recommend a diagnostic test or surgery that requires anesthesia for pets is not something that we take lightly. We care about the safety of your pet and make all treatment decisions based on the same optimal outcome projections that we would use for our own pets. Once our staff has determined that anesthesia is necessary to provide your pet with the best care, we carefully screen him or her by performing numerous tests prior to anesthesia. In addition, we tailor the anesthesia protocol we use to suit your pet as well as the condition that he or she has. Throughout the anesthesia process — before, during and after — our caring staff and veterinarians monitor the condition of your pet with the sole focus of ensuring that they have the best possible outcome. The staff and doctors at SRVC understand how difficult this time can be for you. You think of your pet as being part of the family and want only the best for him or her. In addition, we know you will likely have questions about the medications that your pet will receive during the process. You are encouraged to ask these questions or raise your concerns at any point during your visit. At SRVC, the health and happiness of your pet is our primary objective. We understand how a procedure requiring anesthesia can be nerve-wracking for a loving pet owner. We’re here to do everything possible to help ease your mind as we work together to provide your pet with the best care and outcome. Call us or contact our staff to schedule an appointment or for more information about our anesthesia protocol.